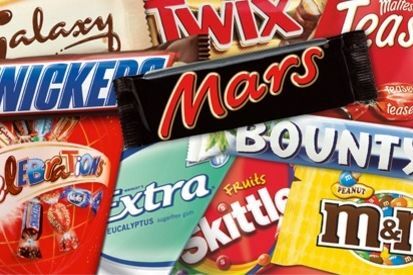 After a small piece of red plastic was found in one SNICKERS® bar purchased in Germany, Mars has made a precautionary decision to voluntarily recall a selection of SNICKERS®, MARS®, MILKY WAY® and CELEBRATIONS® products produced in our Netherlands factory. The recall concerns only specific products that were manufactured at the Netherlands facility during a limited production period, December 5, 2015 – January 18, 2016. As a precaution, the product recall is being implemented in all markets served by our Netherlands facility. Only certain products labeled on pack as “Mars Netherlands” are affected by this recall. Mars Netherlands exports to a number of countries and some duty-free outlets, so the easiest way for consumers to determine whether they have a product that has been recalled is to look at the label. If it is not labeled “Mars Netherlands,” it is not included in the recall. Posted by Mr. Bloggy on 01/03/2016 in Alert, Contamination, Food, Health & Safety, Mars, Snickers, Celebrations, Milky Way, News, Official Websites, Precaution, Safety Warning and tagged Alert, News, Precaution, Product Recall, Products, Public Warning.